Friday Formal Living Rooms: What's Your Style? The Formal Living Room. Everyone knows it, that room in your grandmother's house "no one ever goes in" or "only when we have important guests," conjuring up images of stark white carpet and delicate glass accouterments. But the uninviting spaces of your grandparents' days are over and formal living rooms are making a casually elegant comeback. From classic European to charming rustic, there is a room to suit anyone's "formal" preferences. Below, enjoy four unique formal living rooms, and Riskin Associates wants to know, what's your style? Elegant Tuscany. This elegant, grand formal living room is the sophisticated centerpiece to an equally grand Tuscan villa. The room has been designed for luxury and outfitted with the highest quality finishes, including hand-finished walls, a coffered lyptus wood ceiling and an imported fireplace mantle. 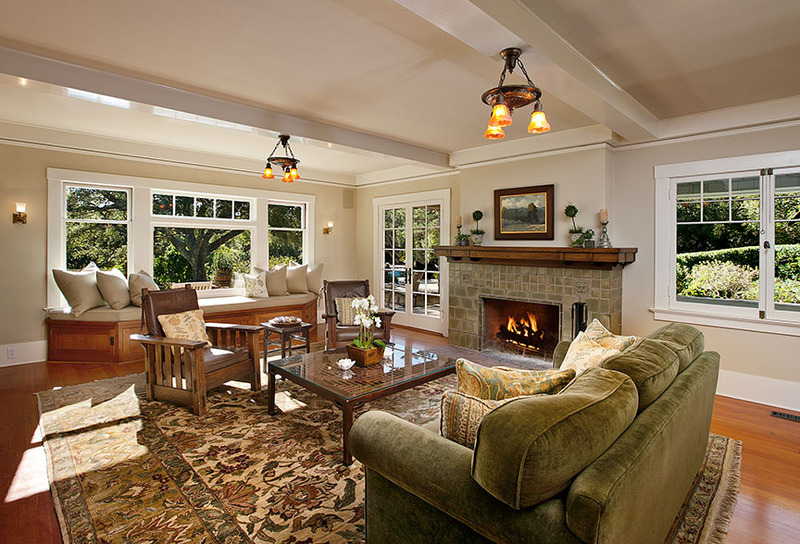 A Montecito ocean view formal living room. Casual California. Perched on a high hilltop, this estate's formal living room enjoy a panoramic ocean view, which commands center stage through an expansive floor-to-ceiling window. A soaring pitched beamed ceiling is complemented by a pair of chic iron chandeliers. 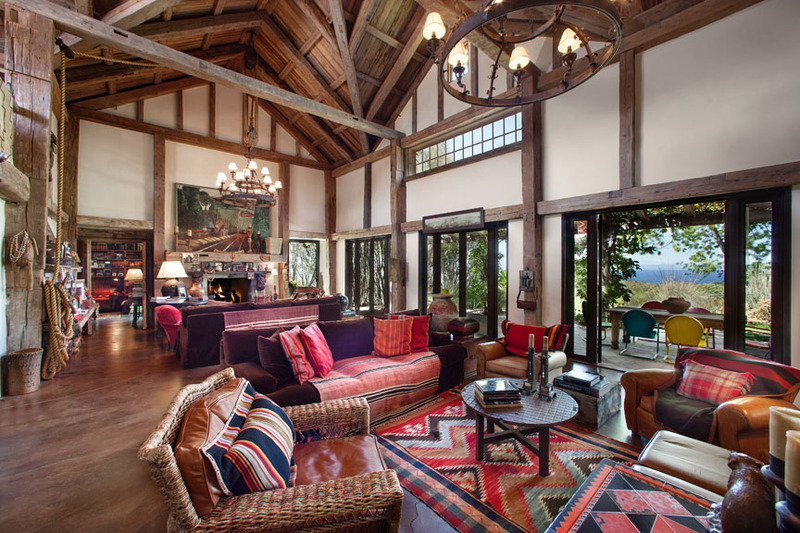 Rustic Retreat.If you prefer a rustic, mountainous atmosphere, perhaps this comfortable formal living room with towering ceilings and beamed walls will suit you. A fireplace warms the expansive room which enjoys a wall of sliding glass doors opening to a terrace overlooking and expansive ocean view. 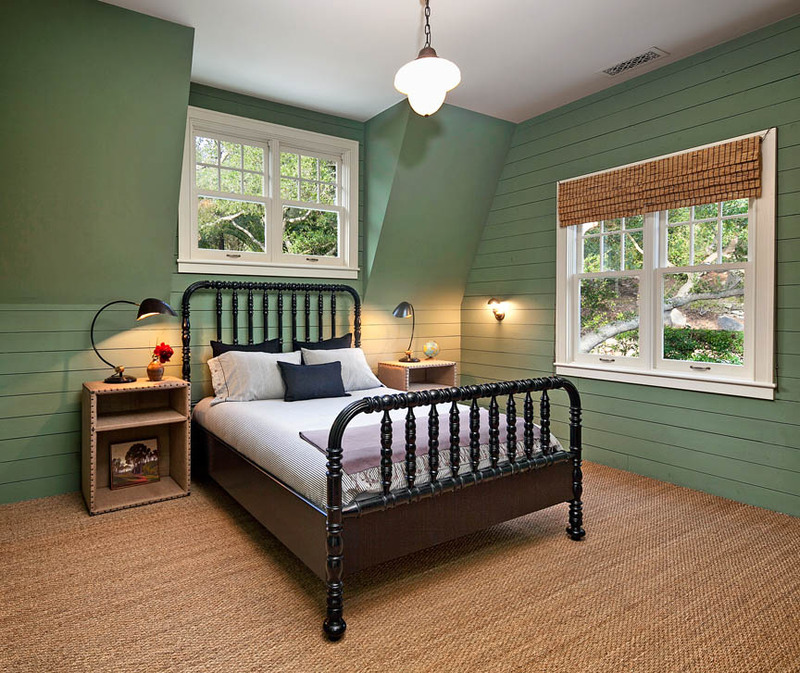 Comfortable Craftsman.Warm rays of sun stream in through sky lights and picture windows in this charming craftsman style room. Take in lush lawns and shady trees from the lovely window seat! 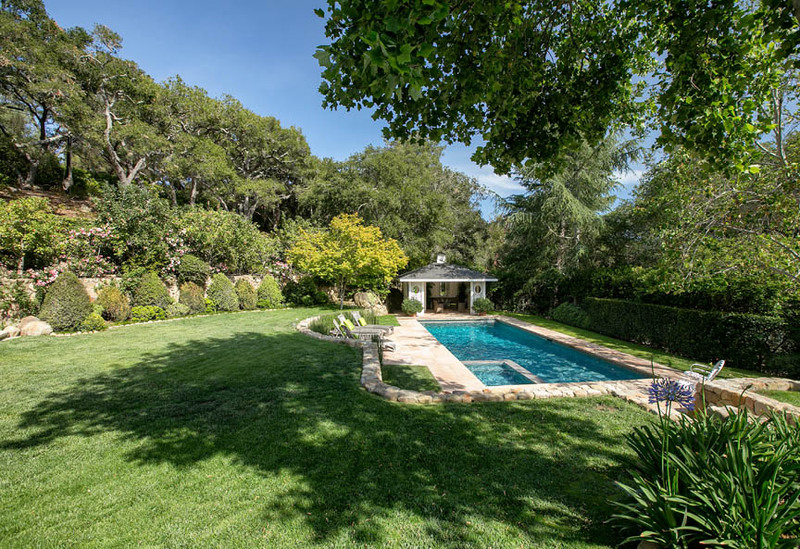 Riskin Associates is proud to represent some of the most unique and exquisite homes in Montecito and Santa Barbara, and we are so flattered that national real estate news outlets recognize our listings for their individuality and luxurious qualities. This time one of our more recent listings is enjoying the spotlight as the Wall Street Journal's House of the Day. This contemporary hacienda on Via Manana is just steps from the world famous San Ysidro Ranch and Montecito's extensive hiking trails. 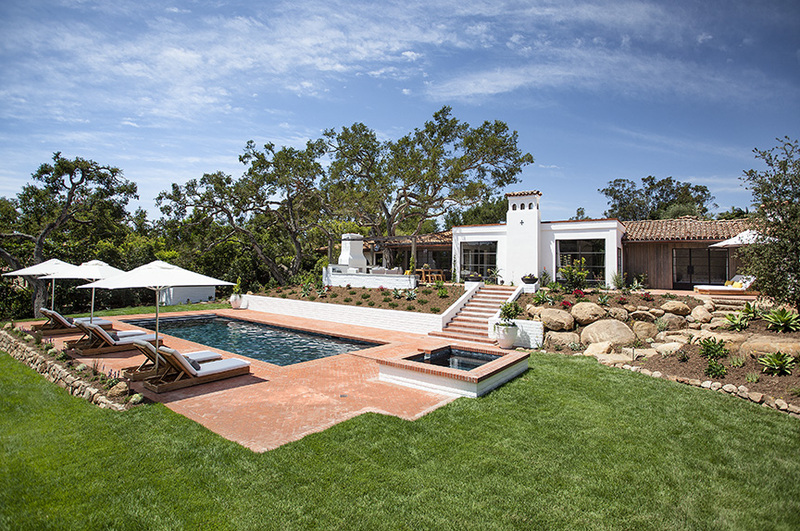 The home has been extensively renovated by Montecito design team Kirsten and Darrell Becker of Becker Studios. Kirsten Kemp Becker is the former host of numerous HGTV interior design shows and affords her experience and expertise in interior design to the homes which her husband Darrell renovates to maximize each property's livable space. 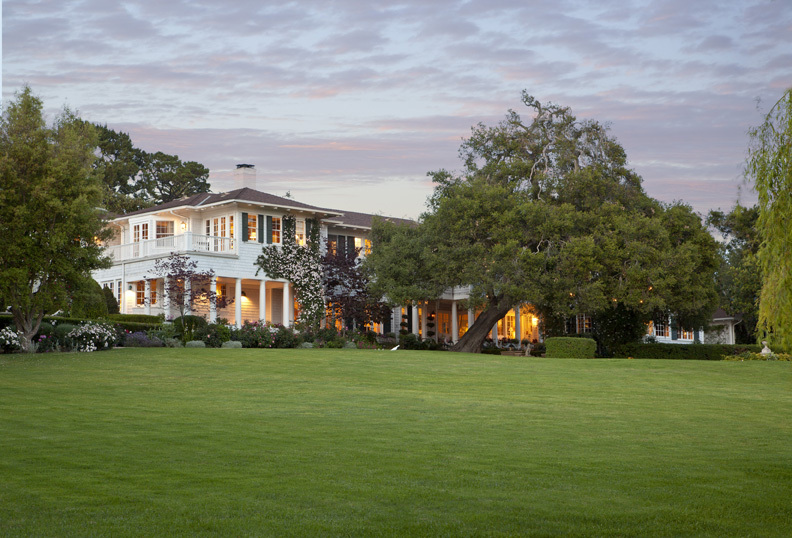 For their latest endeavor, Becker Studios outfitted the home with luxurious, low maintenance finishes and landscaping, to evoke the feel of historic Montecito haciendas. To learn about the uniqueness of the proeprty that caught the eye of the WSJ, click here. For more information on the property, please contact Riskin Associates. 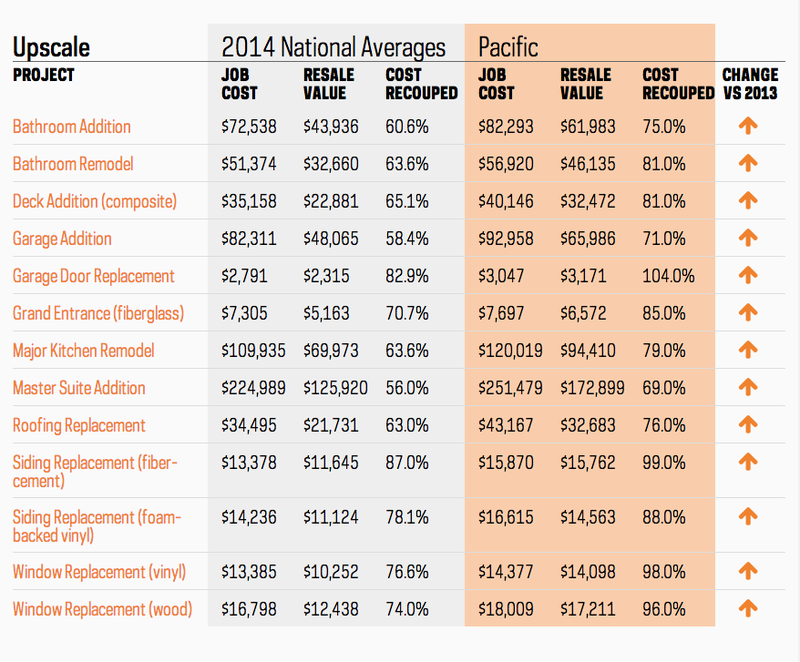 Trending: Luxurious, Low Maintenance Finishes! 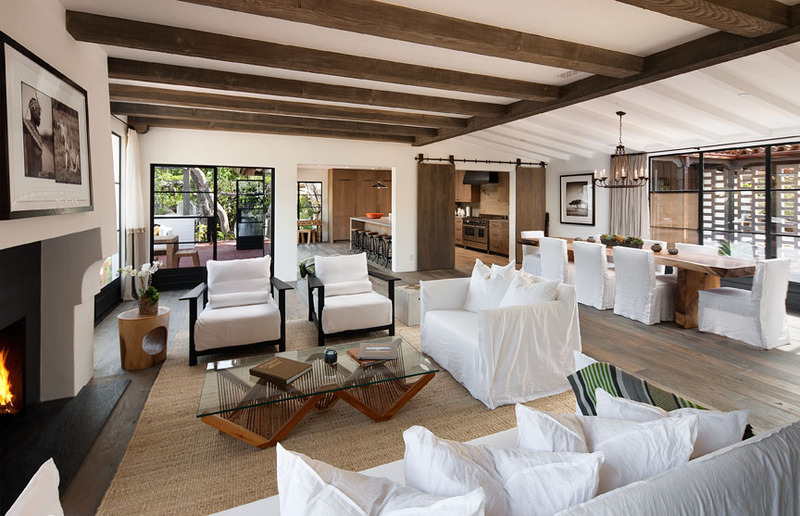 ...Designed by Montecito design team Becker Studios, this contemporary hacienda is adorned in low maintenance materials such as wide-plank drift wood oak floors, combed Chinese basalt, concrete, Lagos Azul and Arival Spanish Limestone and Calcutta marble. 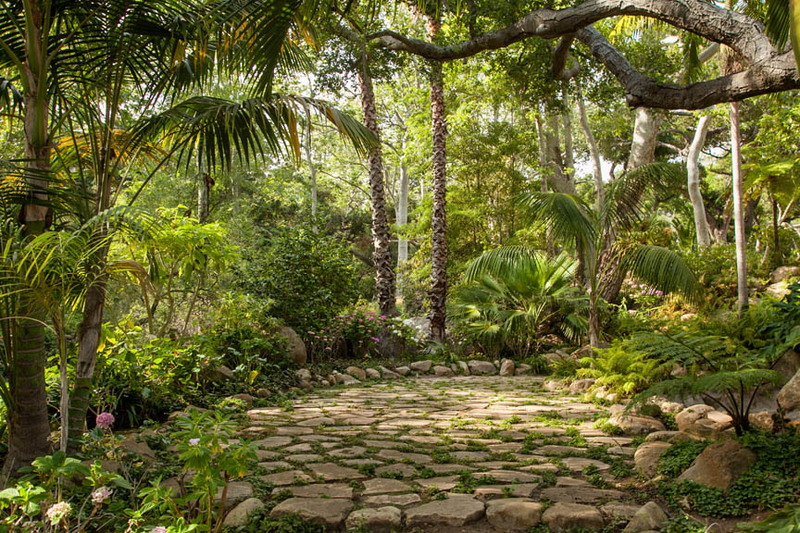 The landscape design acknowledges Montecito's temperate climate, utilizing low maintenance succulents to create attractive gardens, while oak and olive trees line the gravel drive. 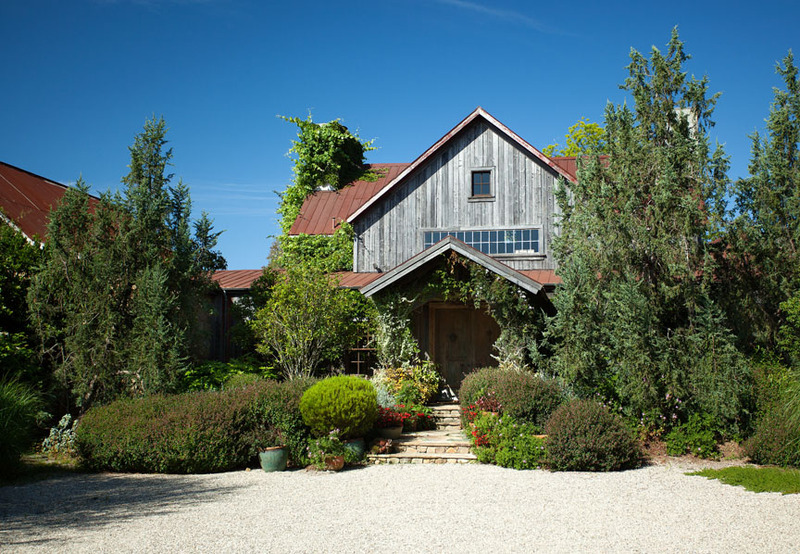 Want an inside look into this fabulous hacienda? 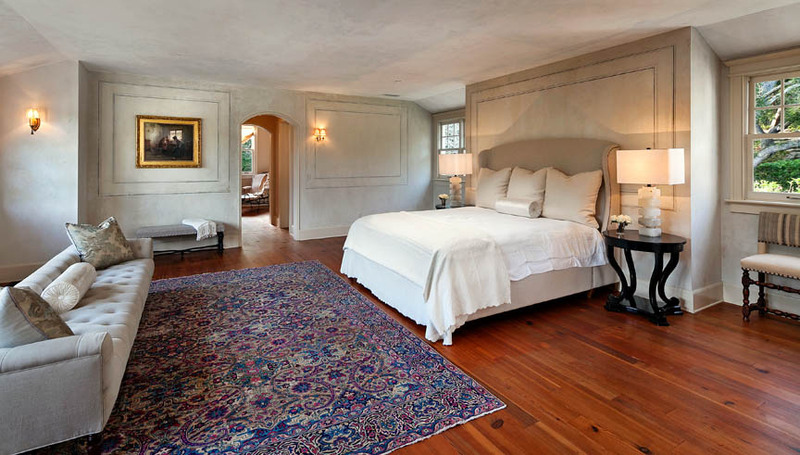 The home will be open this Sunday from 1pm-4pm, 770 Via Manana, Montecito. Montecito and its surrounding coastal communities is known for its relaxed and luxurious California lifestyle, so it's no wonder that LA's elite flock to the casual oceanside towns to unwind. A stone's throw from our offices in Montecito, high in the hills of the seaside town of Carpinteria, Hollywood heavyweight Joel Schumacher, known for the Batman films of the 90s, and more recently for directing Gerard Butler and Emmy Rossum in Phantom of the Opera, has collaborated with noted Santa Barbara architect, Don Nulty, to create a truly one of a kind compound. As if plucked from a forest in the snowy Sierras and gently placed in one of California's most desirable beach towns, the property beautifully marries rustic yet refined finishes with breathtaking views of the Pacific ocean. Upon stepping through the grand foyer, ocean views are the centerpiece to the expansive living room with soaring ceilings and furnished to the nines with plush couches and cozy blankets perfect for enjoying the impressive fireplace. The home features three incredible bedrooms in the main house, a loft designed to take in the surrounding views, a masterpiece of a kitchen, and a spacious guest house just off the key-shaped pool with additional guests quarters. A gem of a hideaway, the entire home begs to entertain, relax, and recharge all who step onto its special property. Luxury Portfolio features La Pumada for its "captivating ceiling"
Recently, one of our favorite high-end real estate affiliations, Luxury Portfolio, chose to feature our La Pumada property alongside a group of properties with "captivating ceilings." Indeed, intricate, hand-painted ceilings grace the living and dining rooms of this estate. The amount of craftsmanship and artistry that has gone into this ceiling-- along with the similarly exceptional details that cover every corner of the house-- make this property the gem that it is. Such intricacies seem almost dreamlike and otherworldly, and thus walking through La Pumada feels downright heavenly. We don't like to play favorites, but if we had to, La Pumada would be at the top of our list. 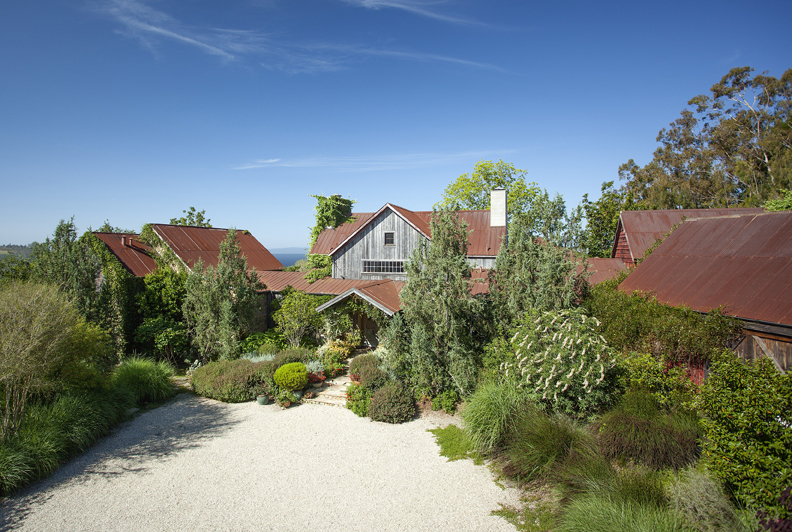 More photos of La Pumada, a Montecito estate.